Pioneer Childcare is an Ofsted registered childcare provider based in Sussex. We run wraparound care (breakfast & after school clubs) and holiday camps from a variety of locations in Haywards Heath, Burgess Hill and Hassocks. We recognise that any child’s time with us is hugely important to both them and their parents. Therefore, our business revolves around a simple aim: to provide the highest possible quality in everything we do. This includes our staffing, our relationships with parents & children and our links with schools. Want to find out more about the incredible journey our company is on? Click the boxes in the timeline below to expand or minimise them. Pioneer Childcare (or Pioneer PE, as it was then known) was founded in 2006. Dan McCaffrey was working in primary schools, teaching PE and running after school sports clubs. Kids liked the clubs and told their parents, who asked Dan about running a week of activities in the summer holidays. The staff’s approach that first week of camp was the same as it is today – to be firm, fair and lots of fun. Parents responded positively, feeding back that camp was different to other childcare options available because staff were very experienced, and the kids were full of enthusiasm for our activities. Dan continued to teach part time over the next five years, while developing the holiday camps. One week of Summer Camp in 2006 became three weeks in 2007. Easter and Christmas camps were added in 2008, and soon after a new camp specifically for older campers – The Hub. Throughout this growth, Dan’s focus continued to be on providing the highest quality of staff and childcare. During the 2009/10 academic year Pioneer took on its first full time member of staff, Leo Anderson. Leo had just finished sixth-form college, and was an aspiring young coach & teacher with a wonderful natural ability with kids. Leo continues to work for the company today, now managing a wraparound care setting in Burgess Hill. 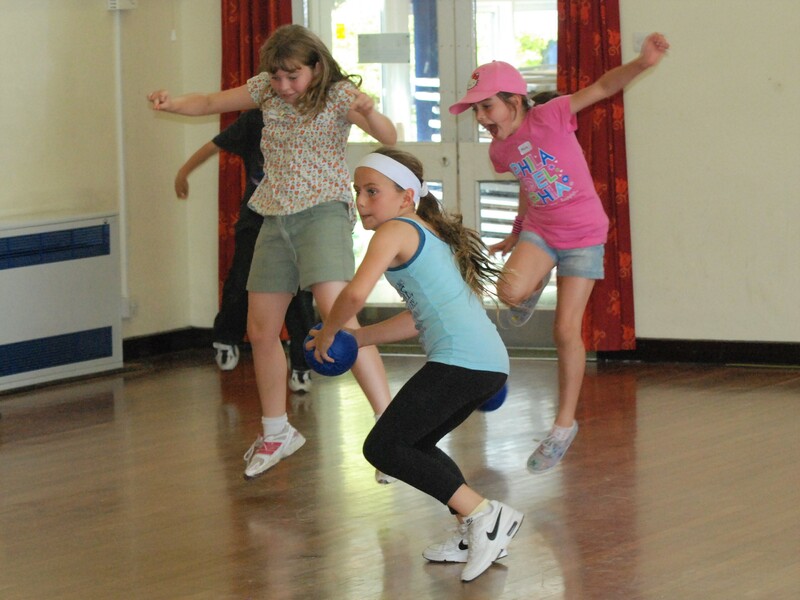 The 2010/11 academic year saw holiday camps open on every day of the school holidays for the first time. Attendance continued to grow, as parents were very happy with the service and said that kids were benefitting from a great staff team of teachers, teaching assistants and coaches. Throughout 2012, the holiday camps began a transition from focusing mostly on sport to a wider range of activities intended for a more diverse mix of interests. As a result, Pioneer PE was re-branded as Pioneer Childcare. The priority continued to be providing the highest quality service to children & parents. It was during this transition that parents began to ask whether the company would consider providing a breakfast & after school club in Haywards Heath. After 9 months of research and careful planning, Pioneer Club – the company’s first wraparound care service – opened in September 2012. Daily liaison with 9 schools, 5 staff and 40 parents presented a new challenge and a steep learning curve, but also one that the company relished. As the club grew in numbers, Pioneer focussed on developing strong relationships with the parents, the schools and most importantly the children. In April 2014, Pioneer opened its second club offering high quality, year-round childcare at Manor Field School in Burgess Hill. This club has grown from providing a service that was initially open to Manor Field pupils only, to now accepting up to 100 different children each day from various schools in the area. When another local provider closed in September 2015, Pioneer acquired 2 additional settings in Hassocks and Burgess Hill. The total number of clubs increased to 5 in September 2017, with the opening of an on-site breakfast & after school club at Storrington Primary School. Across these 5 settings each day, Pioneer Childcare now cares for up to 200 children before school and 300 children after school. So, what’s next? As always, Pioneer Childcare’s primary aim will remain providing the highest quality service to children and their parents. Customer feedback is a welcome support in improving the existing service offered to both kids and parents, so if you or your children have anything you’d like to raise, please do get in touch. Alongside this, the company will continue to look for opportunities to grow & develop its profile & staff team. If you think you know of a school or organisation that might be interested in Pioneer’s style of childcare, please do ask them to make an enquiry.